Kathy, a “carer,” reflects on her childhood at the exclusive boarding school Hailsham, a place of mercurial cliques and mysterious rules where teachers were constantly reminding their charges of how special they were. It's a thoughtful, crafty, and finally very disquieting look at the effects of dehumanization on any group that's subject to it. 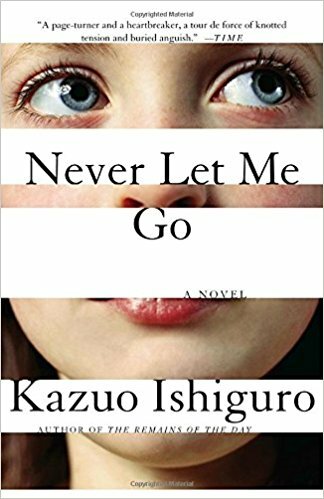 In Ishiguro's subtle hands, these effects are far from obvious … Ishiguro's tone is perfect: Kathy is intelligent but nothing extraordinary...It's all hideously familiar and gruesomely compelling to anyone who ever kept a teenage diary … What is art for? the characters ask. They connect the question to their own circumstances, but surely they speak for anyone with a connection with the arts: What is art for? … The people in it aren't heroic. The ending is not comforting. Nevertheless, this is a brilliantly executed book by a master craftsman who has chosen a difficult subject: ourselves, seen through a glass, darkly. The novel is the starkest instance yet of a paradox that has run through all Ishiguro's work. 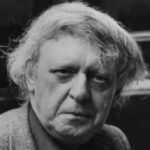 Here is a writer who takes enormous gambles, then uses his superior gifts to manage the risk as tightly as possible. The question is what he's gambling on … The theme of cloning lets him push to the limit ideas he's nurtured in earlier fiction about memory and the human self; the school's hothouse seclusion makes it an ideal lab for his fascination with cliques, loyalty and friendship. The voice he's written for Kathy H. is a feat of imaginative sympathy and technique … The eeriest feature of this alien world is how familiar it feels. It's like a stripped-down, haiku vision of children everywhere, fending off the chaos of existence by inventing their own rules. For most of the novel Ishiguro is primarily concerned with the three as children and with the odd world they inhabit at Hailsham. The school, or institution, or whatever one cares to call it, is located on a large parcel of beautiful land, isolated from the outer world … They are so caught up in the rituals and routines of Hailsham, though, that they have little time for speculation about the distant time of adulthood … This quite wonderful novel [is] the best Ishiguro has written since the sublime The Remains of the Day. It is almost literally a novel about humanity: what constitutes it, what it means, how it can be honored or denied.